Elbit Systems will present at the 2016 Japan Aerospace exhibition in Tokyo on the 12-15 of October (Booth W4-041) an array of its latest innovative solutions, well suited for the Japanese market. C-MUSIC™ is a pod-mounted direct infrared countermeasure (DIRCM) system specifically designed to protect large jet aircraft from infrared missile threats. 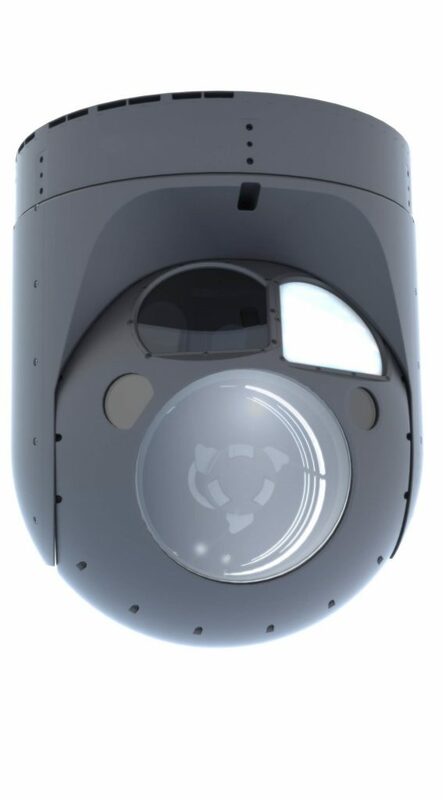 The pod integrates advanced fiber laser and thermal imaging technologies to deflect shoulder-fired IR missiles (MANPADS) from their intended target. 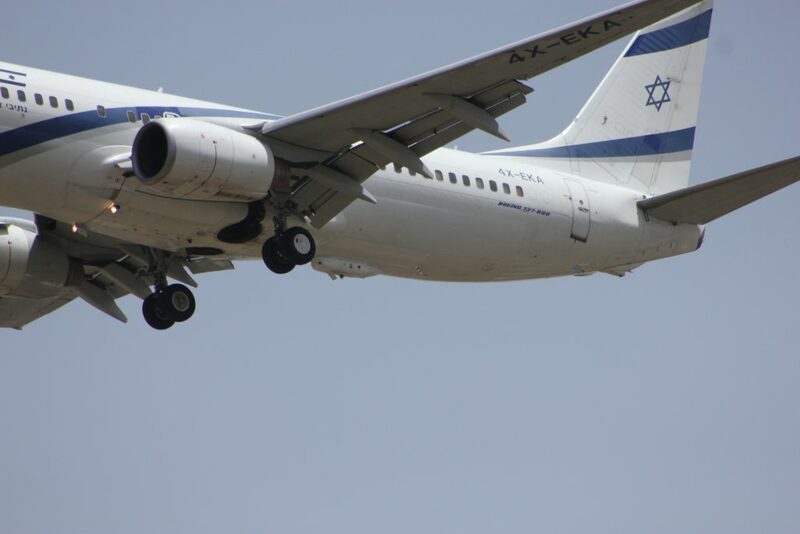 Elbit Systems is under contract for numerous customers worldwide, including the Israeli national program for protection of the commercial fleet, as well as the Italian, German and Brazilian Air Forces. All-in-Small™ is a cutting-edge, integrated electronic warfare (EW) suite in a single line replaceable unit (LRU), with comprehensive, advanced EW capabilities. It is comprised of an EWC – Electronic Warfare Controller, RWR – digital Radar Warning Receiver, PAWS – IR Missile Warning System, LWS – advanced Laser Warning System and CFD – Chaff/Flare Dispensing system. The system is extremely small and lightweight and has a modular and open architecture with multiple interface abilities. All-in-Small can be provided together with IR-Centric™, a multi-spectral emitter, as well as geo-location and net-centric capabilities. PAWS is a family of infrared (IR)-based Passive Warning Systems that provides a comprehensive, turn-key solution for airborne platforms. The sophisticated IR Missile Warning Systems (MWS) enhances airborne platform survivability by providing advanced warning of the presence of threatening missiles – and by automatic management of all types of applicable countermeasures available on board. The PAWS family of systems operates either as a stand-alone, self-contained system or as part of a complete EW Defense Aid Suite (DAS). iSNS- Immune Satellite Navigation – Anti-Jamming Systems is an exceptionally effective GPS ECCM (electronic counter countermeasures) system that ensures reliable, non-stop GPS operation. The sophisticated iSNS solution provides full jamming immunity for multiple satellite channels, and handles multiple interfering signals and/or jammers operating on concurrent frequencies. Delivering a unique level of flexibility, the iSNS works with all types of GPS systems, offering extensive protection from jamming – without prior knowledge of GPS satellite locations or GPS receiver antenna locations, and despite any antenna heading/pitch/roll. iSNS requires minimal integration with the GPS receiver. The system can be installed as a completely independent add-on kit. DJHMCS is an improved helmet mounted display (HMD) system, incorporating new technology, developed for commercial aviation, into the operationally-proven Joint Helmet Mounted Cueing System (JHMCS). With the DJHMCS, pilots can benefit from advanced video and color capabilities in both day and night missions, using a modern, lightweight, well-balanced digital HMD system. DJHMCS provides an improved HMD Center of Gravity (CG) and balance, thus reducing neck strains. Elbit Systems offers a comprehensive range of unmanned aircraft systems (UAS) from the man portable Skylark™ 3 through the ship-borne mini-UAS Skylark C to the next generation Hermes™ 900 medium altitude long endurance (MALE)- UAS. 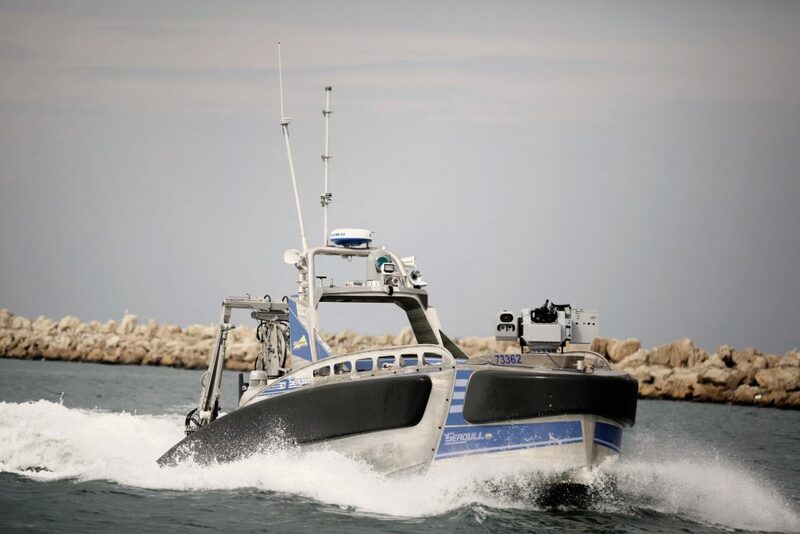 Elbit Systems’ UAS and unmanned surface vehicles (USVs) are designed based on decades of operational experience and are in service with numerous military and security users worldwide. Seagull™ is a multi-mission, 12 meter autonomous USV system, equipped to perform versatile missions with modular payload suites such as dipping sonar and torpedoes to detect and engage submarines, towed side scan sonar and mine identification and neutralization. The Seagull USV is also designed to carry out unmanned maritime missions such as protection of critical sea areas, electronic warfare, hydrographical survey missions and more. Seagull can be operated from manned ships or from the shore, and with the Elbit Systems Skylark C ship-borne UAS, provides a full intelligence surveillance reconnaissance (ISR) image in naval operations. SPECTRO™-XR is a world leading ultra-long range, day/night, multi-spectral electro-optical intelligence, surveillance, targeting, acquisition and reconnaissance (ISTAR) system. The latest and most advanced electro-optic payload developed by Elbit Systems for ISTAR missions, the system can be installed on a variety of platforms including rotary and fixed-wing airborne platforms, aerostats, naval vessels and land applications. Condor2 is a long-range oblique photography (LOROP) system that provides high coverage, high resolution and accuracy in target acquisition from very large distances. The system also provides a comprehensive sensor-to-shooter solution from long distances. Condor 2 is a fully autonomous system. In its primary mode of operation it functions without operator input, using a pre-loaded mission file. Air Keeper is a unique solution encompassing both intelligence gathering and EW capabilities, enabling powerful control over the electromagnetic spectrum. This new approach allows any existing cargo, transport or passenger aircraft to be converted into a strategic and tactical special mission aircraft. Enabling collection, processing and exploitation, as well as electronic countermeasures, this solution provides mission commanders with a complete, real-time, electronic picture of the arena. PRC 648 is an advanced over-the-horizon COSPAS-SARSAT beacon search & rescue (SAR) olocator, intended for non-combat SAR missions, designed to provide ultra-reliable performance in severe environments. This uniquely feature-rich Personal Locator Beacon has automatic activation, a sea water sensor and an integral voice transceiver offering multichannel VHF/UHF resources. An embedded GPS receiver provides for automatic position reporting, for geo-location with better than 10 meters (33 feet) accuracy. The triple beacon enables transmitting distress signals over all the internationally recognized emergency frequencies. PRC 434 is an Advanced Dual Mode Personal Survival Radio with GPS. A small but powerful long-endurance Personal Survival Radio (PSR), that provides a complete solution for military or paramilitary applications in combat and peacetime environments. With its’ embedded GPS receiver, large liquid crystal display (LCD), and unique electronics, the PRC-434G/CS assures precise global positioning, easy navigation and extensive interrogable two-way messaging. FPR-10 is an ultra-lightweight foliage penetration radar, offering automated long-distance discrimination and detection of people and vehicles located in and behind dense foliage. Fully-digitalized and robust, this radar is capable of operating in harsh environmental conditions requiring high reliability or consistent performance such as hot temperatures, rain, fog or snow. In addition, FPR-10 has no moving parts (as opposed to most ground radars), and can effectively overcome Inter-symbol interferences such as changes in foliage reflectance. MBR is a compact, easily-deployable and quick-to-assemble situational awareness and perimeter surveillance radar system, capable of detecting and alerting against a wide range of targets at an extremely low False Alarm Rate (FAR).